Fall-O Me is October's Polish of the Month for Colors by Llarowe. I love this polish of the month concept because it's fun to see a new polish every month without having to worry about budgeting for an ENTIRE collection. This month's color is so gorgeous, so let's get to the photos. The three polishes I am showing you today are super complex, crazy beautiful polishes from Darling Diva Polish. I can't even begin to describe the complexity of these three polishes, so best you look at pictures! I've been using Glisten & Glow Ctrl-Alt-Del for well over a month now, using it for stamping, nail art, and gradients. 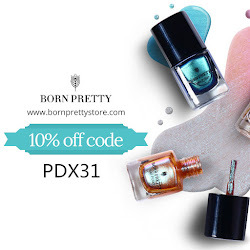 Trust me when I say anyone who likes nail art, needs this product! Let's get to the product itself! Cosmoprof is fun because it exposes me to new brands every year. Firecracker Lacquer is new to me and the maker of this brand is AWESOME. I love when that happens! Today I am showing off some nail art glitters from a new-to-me nail art supply site, Lady Queen. Lady Queen is based out of Singapore and has a HUGE catalog of items. 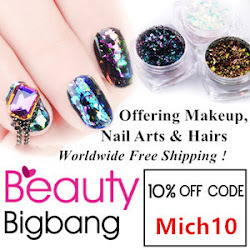 Really anything you want, this site has, so let's check out some easy to use nail art glitters. AND I have a 15% coupon code for you at the end of the post! Today is exciting because I get to show you Impalas! I've always wondering about this brand but never got a chance to get them. Well now I found out they are sold at places like Ricky's and Amazon which is awesome! Impala is based out of Brasil, so you will notice the names are in Portuguese. The formulas are amazing, so let's get to swatches of their summer collection (which definitely transitions into fall!). Tonight I have the Girly Bits What Really Happened in Vegas Collection! These 5 polishes are named after experiences in Las Vegas during Cosmoprof! Cosmoprof is a crazy time because of the amount of events plus getting to see old friends and meeting new ones. So let's get to the polishes. Takko Lacquer will be having a restock on September 3 so I thought I would share with you some of my recent purchases and gifts of polishes from this brand. I've been following this brand for the last three years and been purchasing for the same amount of time. I really love the unique shimmers and combinations of this friend and getting to meet Sheryl at Cosmoprof was truly exciting. So let's get to some of the polishes that will be restocked this week. It's September!! I can't believe it and I'm totally overwhelmed. I'm not ready for summer to end but my 90 degree classroom could use a break! Today I have four polishes from the KB Shimmer Fall/Halloweem collection. The collection includes cremes, holos, shimmers, and glitter in crelly polishes. Here are a few!